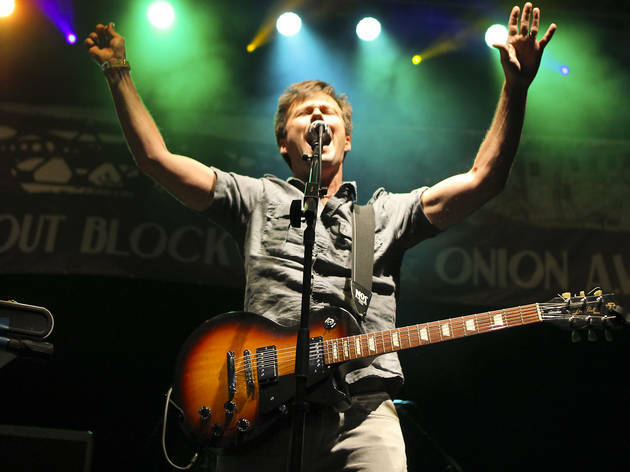 Photograph: Zach LongThe Dismemberment Plan kicks up the energy at the Hideout Block Party and Onion A.V. 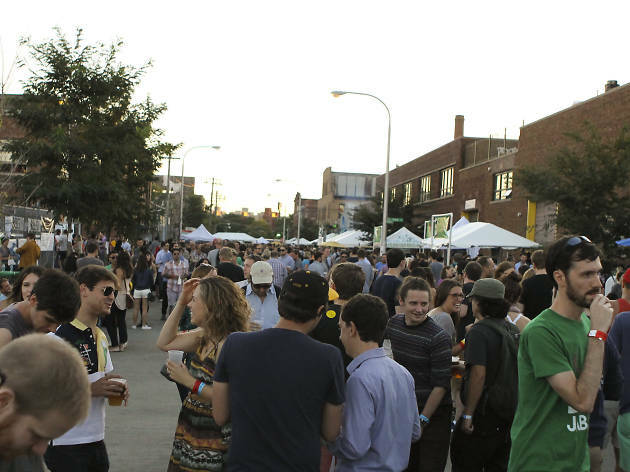 Fest on September 6, 2014. 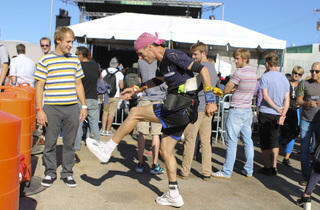 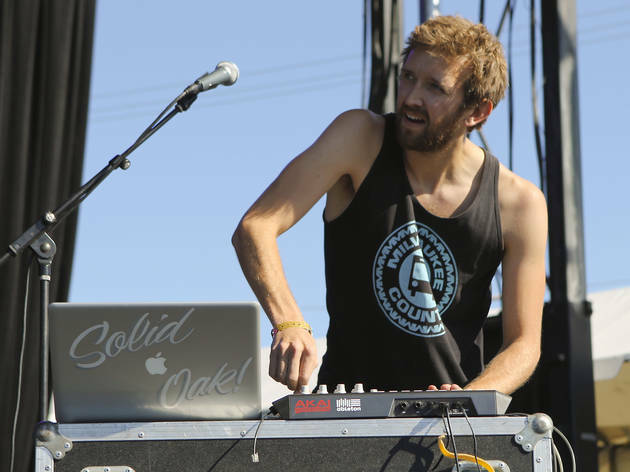 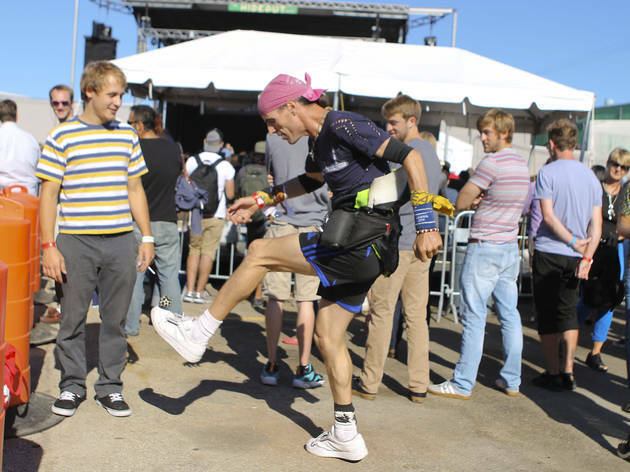 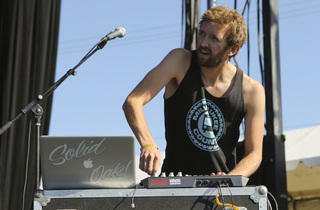 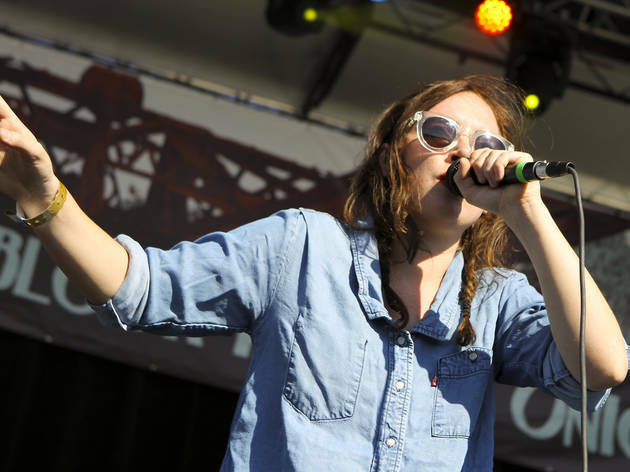 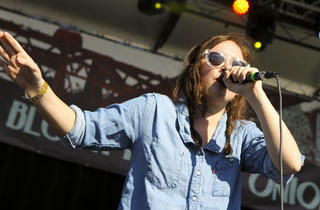 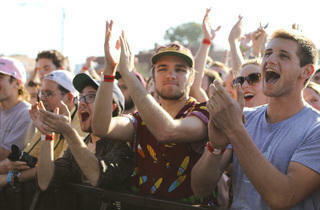 Photograph: Zach LongSylvan Esso gets the crowd dancing at the Hideout Block Party and Onion A.V. 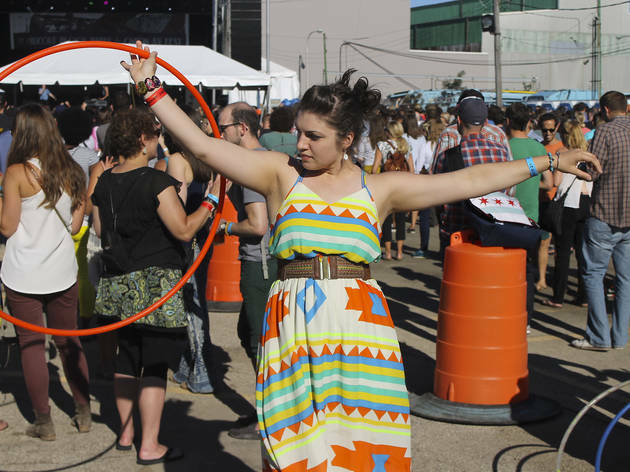 Fest on September 6, 2014. 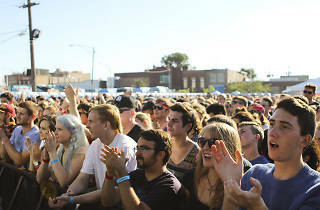 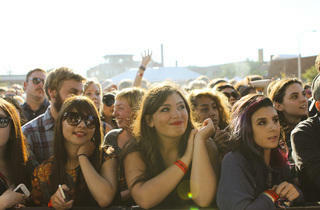 Photograph: Zach LongAttendees soak up some sun in a parking lot at the Hideout Block Party and Onion A.V. 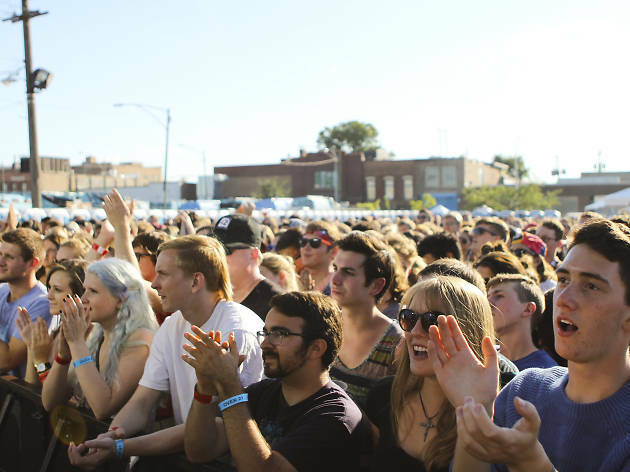 Fest on September 6, 2014. 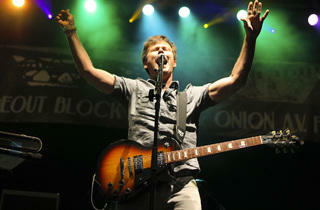 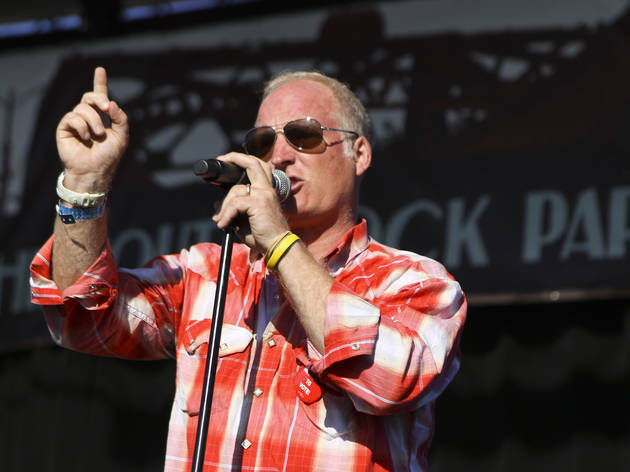 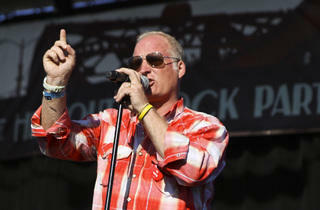 Photograph: Zach LongHideout co-owner Tim Tuten speaks at the Hideout Block Party and Onion A.V. 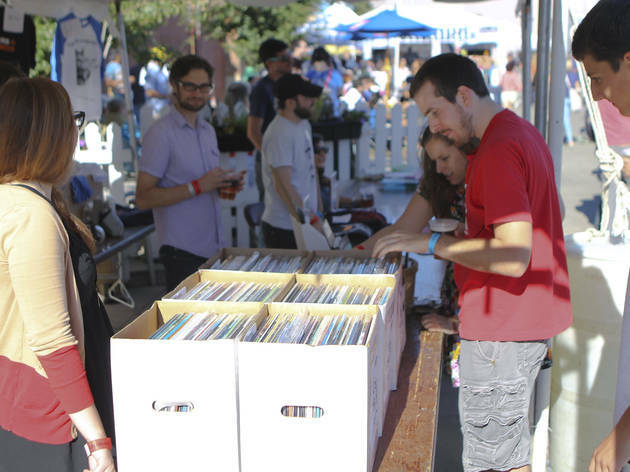 Fest on September 6, 2014. 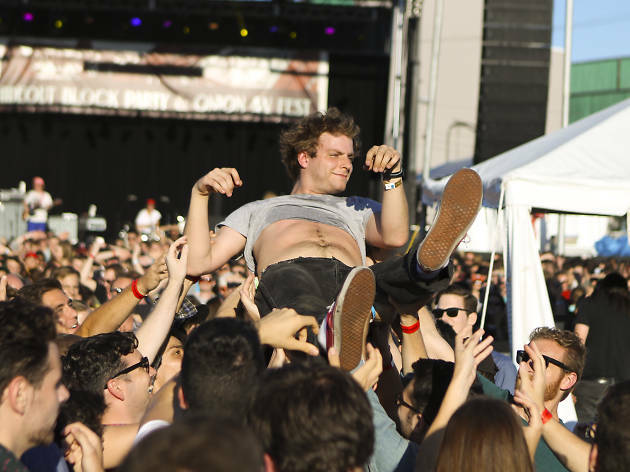 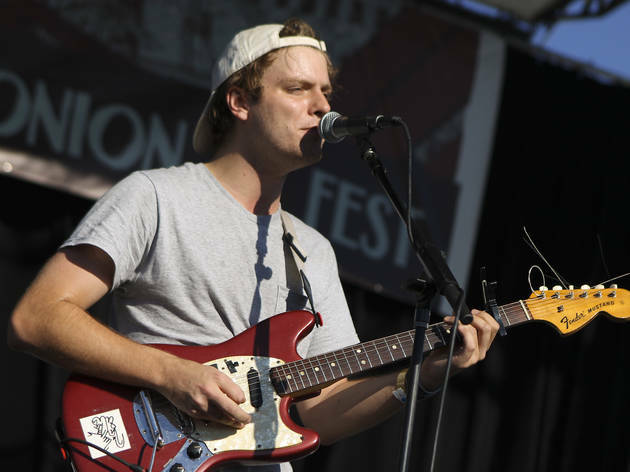 Photograph: Zach LongMac DeMarco turns in some laid back tunes the Hideout Block Party and Onion A.V. 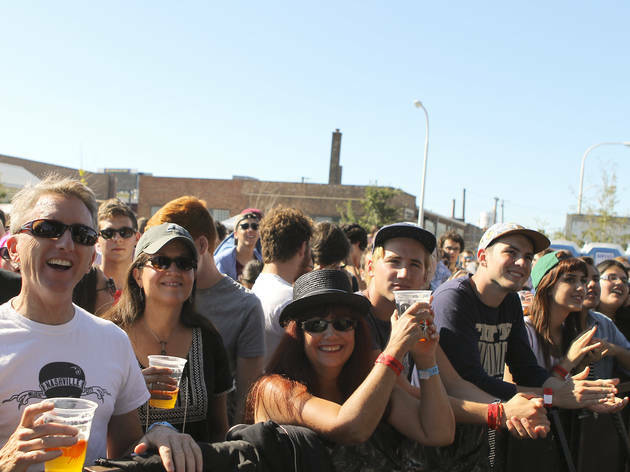 Fest on September 6, 2014. 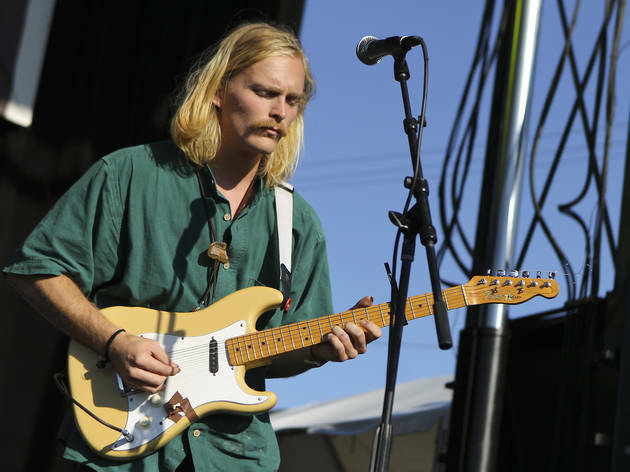 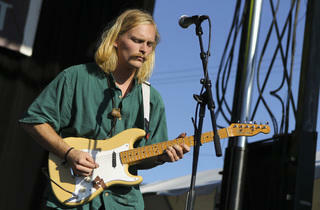 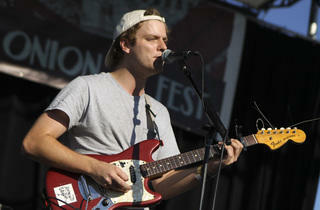 Photograph: Zach LongMac DeMarco turns in some laid back tunes at the Hideout Block Party and Onion A.V. 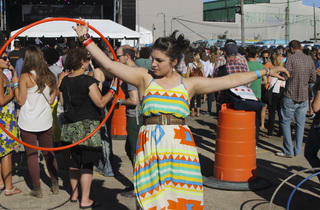 Fest on September 6, 2014. 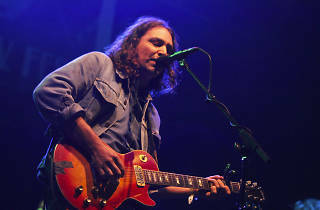 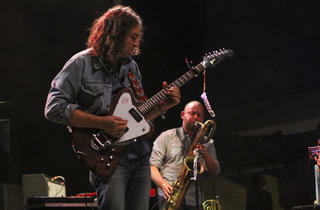 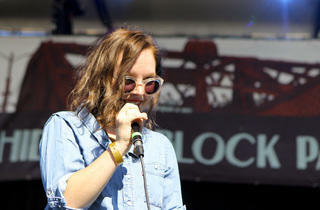 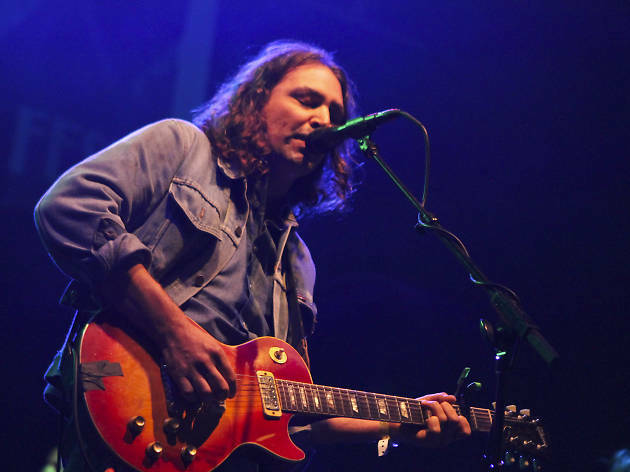 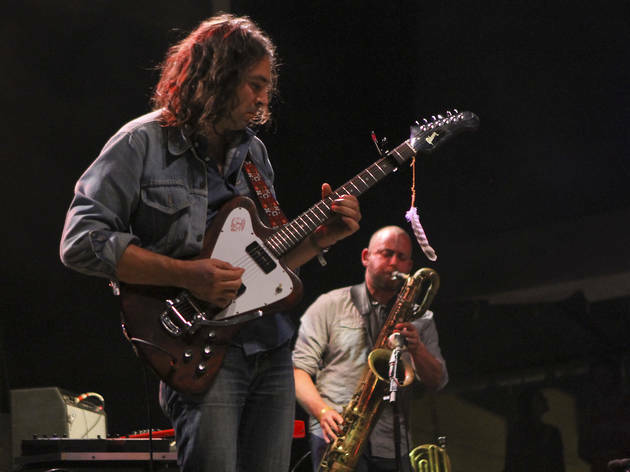 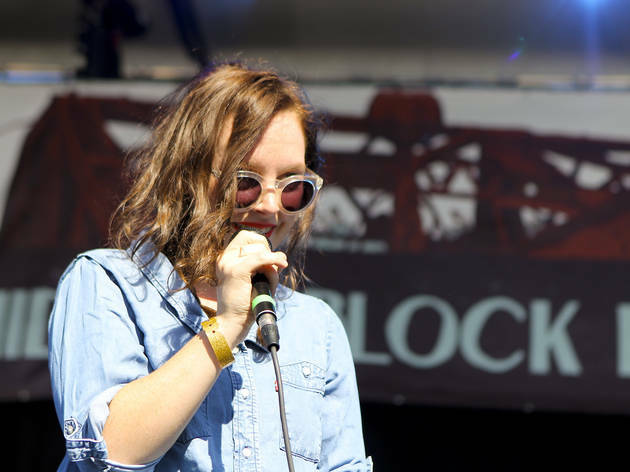 Photograph: Zach LongThe War on Drugs close out the Hideout Block Party and Onion A.V. 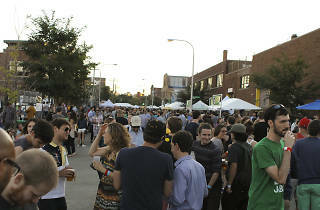 Fest on September 6, 2014. 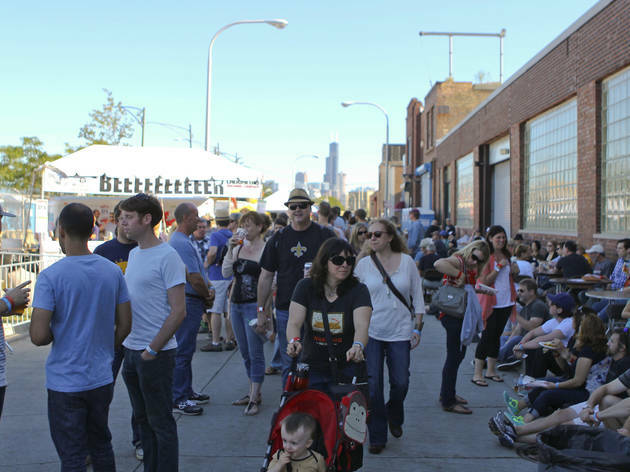 Another year, another party in a parking lot. 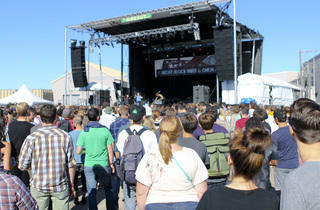 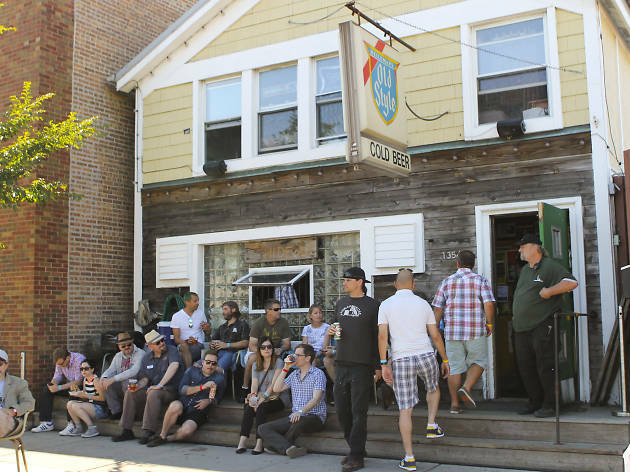 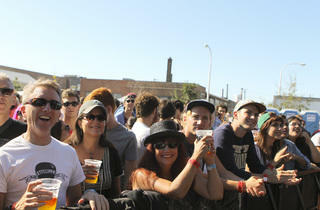 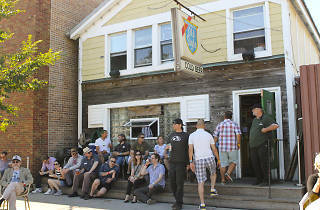 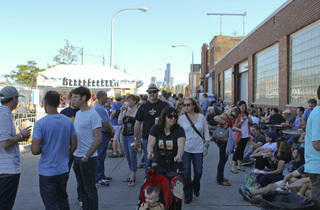 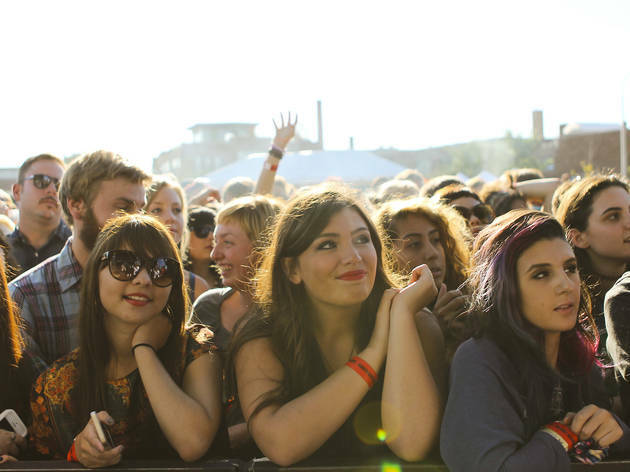 The 18th annual Hideout Block Party (which merged with the Onion's A.V. 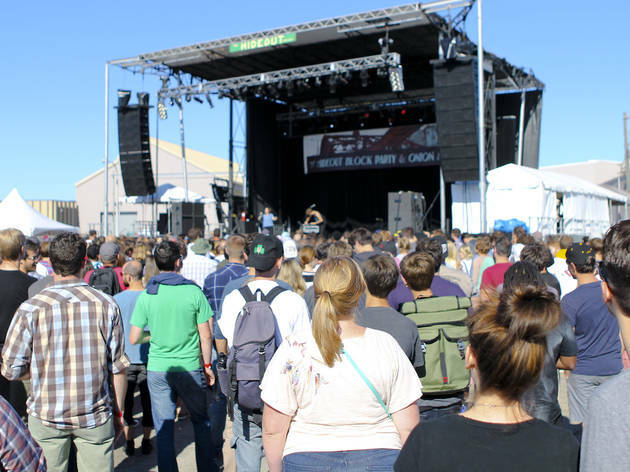 Fest a few years ago) has grown a bit larger with each successive occurrence, but the gathering has maintained a relaxed atmosphere befitting of an event that marks the tail end of the summer festival season. 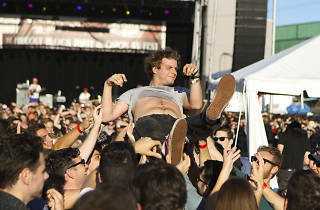 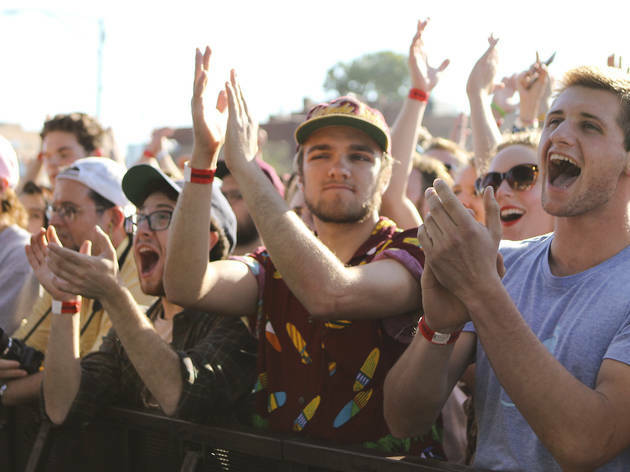 Headliners Death Cab for Cutie and the War on Drugs drew sizable crowds, but we were equally impressed by the minimalistic dance-pop of Sylvan Esso, Walkmen frontman Hamilton Leithauser's lush solo set and the madcap musical antics of Mac DeMarco. 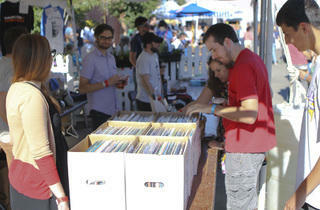 We stopped by the tucked away festival on Saturday afternoon to partake in some end-of-the-summer tunes.